Igor Augustinič is a Partner in bpv BRAUN PARTNERS and head of the branch office in Bratislava. His expertise includes the banking and financial law, M&A, competition law, corporate law and real estate law. He is an author of numerous articles and a lecturer. 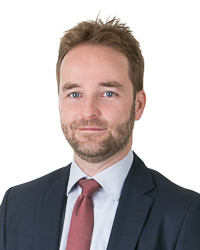 Throughout his practise, he has taken part in a number of key transactions for local as well as international clients.